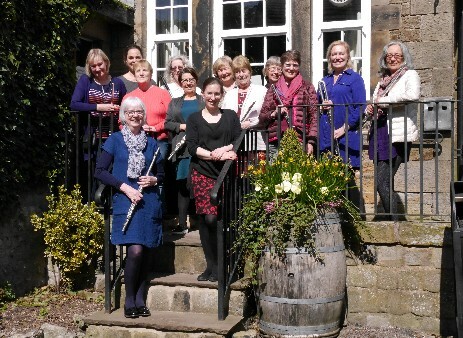 Residential Flute Courses for adults are held in the beautiful Staffordshire and Derbyshire Peak District of England. Arrive with your flute on a Monday for a week of musical participation with the first-class FATB tutors, including an individual lesson, private rehearsal with professional accompanist, workshops and sessions playing music in small and large groups, masterclasses and concerts, before departure on Friday. Top-class accommodation on-site - in one of the amazing secluded venues - provides an indiviudal room and bathroom for each musician (partners welcome), with our own private chef taking care of all the practicalities whilst you immerse yourself in the music-making. Click on individual courses for more information. Whether you’re keeping in touch between residential courses, or perhaps only have time for the mini-Flutes at the Barns experience, an FATB Flute Day is jam-packed with music, fun and inspiration, led by Zoë Booth and the other brilliant FATB tutors. Activities include rehearsals, workshops and warm-ups and the themed Flute Days (on variety of topics) also include the opportunity to take part in an accompanied masterclass; alternatively the "Play Days" are all about ensemble playing, forming a flute choir from scratch for the day to cover a wide choice of music. Our beautiful Arts Centre venue provides a fitting backdrop for the wonderful range of fully inclusive music-making. Click on individual Flute Days for more information. Flutes at the Barns Overseas Courses provide particularly special opportunities to make music - with all the wonderful flute-playing musical activities you would expect from FATB - whilst exploring exciting non-mainland-UK destinations through a programme of sight-seeing activities fitted around the musical sessions. Varying by destination, courses are 7-10 days in length; individual accommodation for each musician is of the highest standard. Flutes at the Barns has so far taken nine tours of happy flute-players - and some partners, who are welcome too - to Tiree in The Inner Hebrides, Cork in Ireland, Croatia and Sri Lanka. Click on individual courses for more information. Each Flutes at the Barns course is open to applications from flute players of any standard, aged eighteen and over. Musical itineraries vary from course to course; more details can be found on the individual course pages. Most Recent News: April 2019 - The 55th Course! Click here to be added to the Flutes at the Barns mailing list; the newsletter is emailed approximately 4-5 times per year, with the latest FATB news and information on courses as soon as they are open for booking.